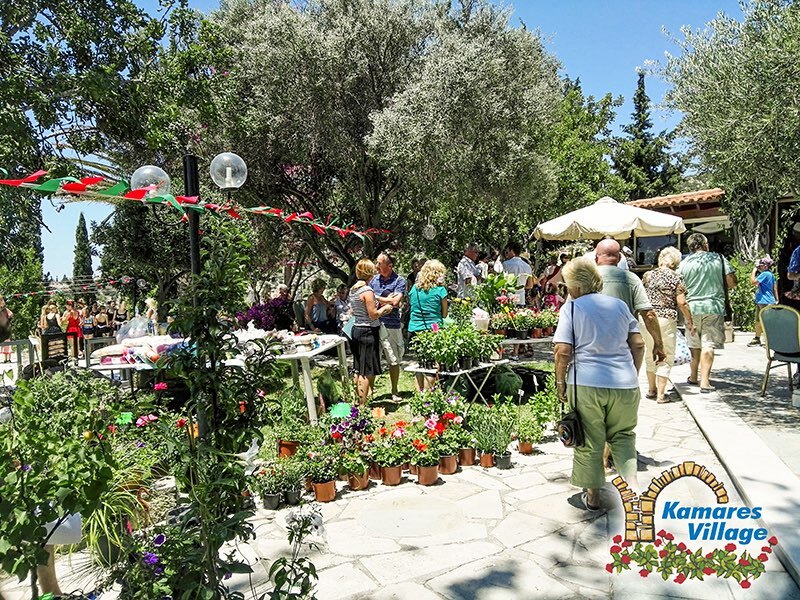 Local charities benefitted with a substantial amount through the event of the “Kamares Festival” which took place last Saturday at Leptos Kamares Village near Tala, Paphos . Colorful stands displaying many unusual and unique handmade arts and crafts , local wineries offering free wine tasting and charity games. A great day of entertainment hosted by Simone Celine Swift , the colourful Morris Dancers , Paphos Zingers ,Kaela Santosh ,Thompson School of Dance and Performing Arts , the Dream Girls an Melissa Williams . Good to see so many people enjoying the day . Organizers Leptos Kamares Club and “In Any Event” said “The Kamares Festival is always very popular and we are always pleased to bring people together for a fun day of entertainment. We do like to support local charities as well, and this year a few of the local charities will all benefit greatly from the event”. The international Award-Winning development Leptos Kamares Village, is one of the most prestigious developments ever built in Cyprus and a great place to live. The area is well known for its traditional houses with stone arches, breathtaking sea views, healthy climate and the natural environment. Kamares is a community, where social life revolves around the events of the Kamares Residents Club. Perched on the hilltop central to the village with outstanding views, the club has amongst its facilities a large swimming pool within landscaped gardens and sun terraces, two tennis courts, a restaurant with bar, reception, library, mini market and function room, a Property Management office and Property Sales office. The Kamares village Emergency Medical Center situated next to the club, opened in 2007 and following almost 10 years of success continues to offer an invaluable service to the residents of Kamares and the nearby villages of Tala, Koili and Tremithousa. Leptos Kamares Village offers Mediterranean living at its best, in an area where you can indulge in culture and history, flora and fauna, festivals, music and dance or just peace and tranquility enjoying all year round sunshine and daily magical sunsets.